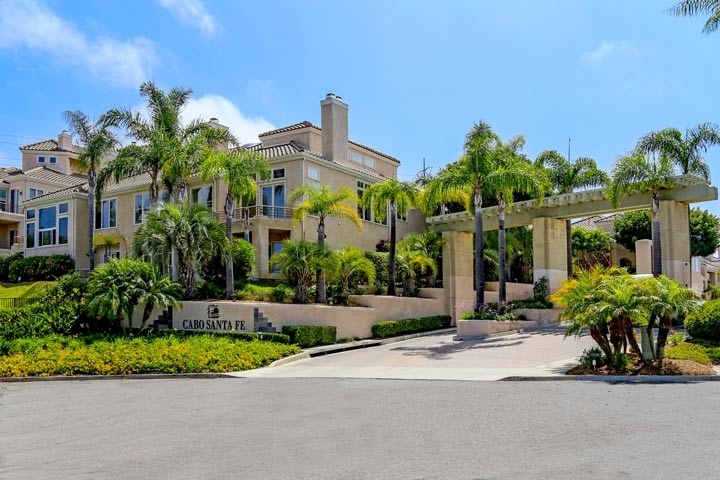 Cabo Santa Fe Homes are located in the coastal community of Del Mar, California. Cabo Santa Fe is a small gated community located near the beach and features two story town homes. The community was built in 1991 and feature two to three bedroom floor plans that average in size from 2,057 to 2,860 square feet of living space. The properties have the look and feel of a traditional single family home even though they are classified as a condominium. Cabo Santa Fe is under a homeowners association with monthly dues of approximately $600.00 a month which includes the gated entrance and common area maintenance. These homes are ideal for those looking for a beach close location and want to live a lock and go lifestyle. Below are the current available Cabo Santa Fe Homes for sale and for lease in Del Mar. Questions regarding this community and the homes for sale here? Please contact us today at 888-990-7111 today. We are the Del Mar Real Estate specialists.